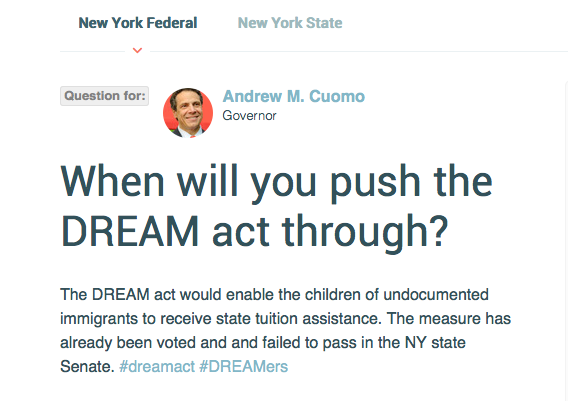 We’re rounding up recent question campaigns to showcase the promising breadth of issues users can surface on AskThem. AskThem isn’t just for elected officials- users can access a wide range of verified Twitter targets- including whole governance bodies, prominent public figures, think tanks, and businesses. 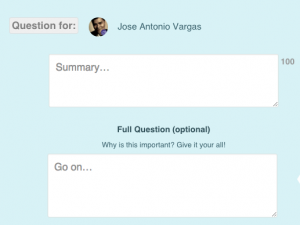 Instead of submitting a single question to a single target, AskThem allows you to build a dynamic question campaign to effectively communicate your concerns to a variety of recipients. 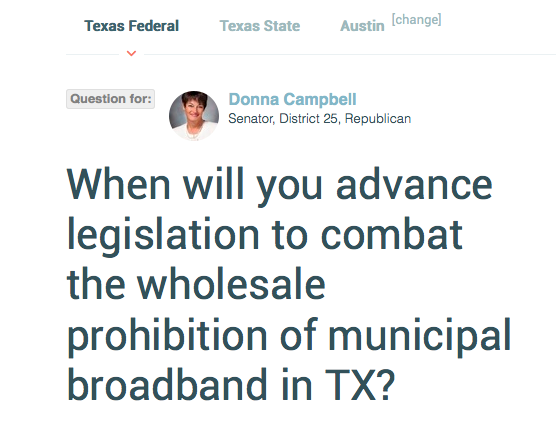 Use our question tool to confront a council member on an ordinance vote, ask a federal agency about regulation status, or petition a corporation about oversight measures. From immigration reform to municipal broadband, our campaigns are a powerful example of how public questions-and-answers probe complex national issues for local impact. 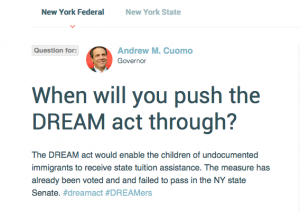 Crowd-sourced questions on AskThem promote continual dialogue and foster a multidimensional take on complicated policy issues. In September we partnered with digital rights activists, Fight for the Future, in launching our #SaveTheInternet campaign towards city adoption of broadband technology. 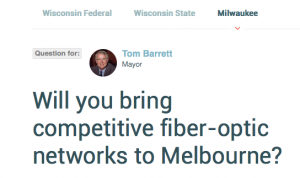 Amidst mass push-back against the FCC’s refusal to regulate broadband as a utility, how are broadband barriers and net neutrality policy operating at the local level? 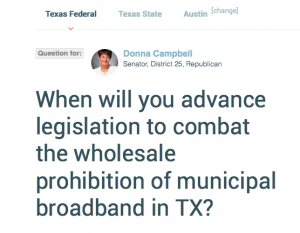 Ask your state representatives where they stand and browse our list to check the status of broadband infrastructure in your city. Inspired by the work of immigrant activist and journalist Jose Antonio Vargas, we built a comprehensive #DefineAmerican campaign to highlight the fascinating tension between local and federal tactics in guiding immigration reform. In light of stifled administrative action, states have become less complicit in carrying out federal deportation demands. As dozens of cities across the country are pursuing local immigration policy, sign-on to questions about municipal identification, detainer requests, and support for mixed status families. 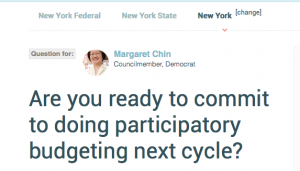 As participatory budgeting continues to take New York City by storm with over 24 Council Members pledged to allocate over 25 million to district projects, we’re proud to be active partners with PBNYC and Community Voices Heard to spread awareness for the process. 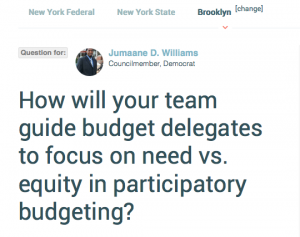 Our comprehensive participatory budgeting campaign connects you with all early local adopters and non-participating council members. 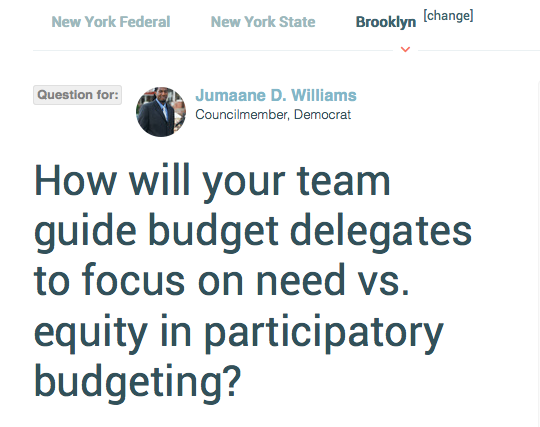 Support questions calling for the expansion of the process across city agencies and find out when your district is slated to join the process! 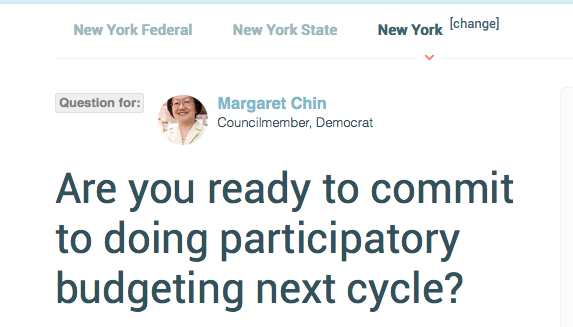 Visit our campaign pages on the PPF blog to sign-on and share trending questions. To ask your own, type in your zip code on our home page or visit our map to ask questions to those who represent you at the federal, state, and local level. To target a non-elected prominent individual, get a taste of some of the verified Twitter targets you can reach here. As always, ask anyone with a verified Twitter account a question on our home page. If there’s someone in particular you’re hoping to reach, contact our Community Manager at maryam@askthem.io Drop us a line anytime and visit us on Twitter @AskThemPPF and on Facebook.